Abdulrasaq says APC not bothered about court ruling on Balogun – Royal Times of Nigeria. 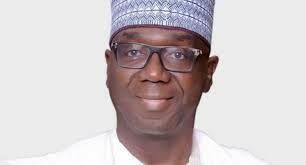 The recognized National Working Committee Governorship Candidate of the Kwara state chapter of the All progressive Congress, Abdulrahman Abdulrasaq has said the party is not bordered about the judgment of the Ilorin high couth which affirmed the Balogun Fulani led APC as the chairman of APC in the state. Speaking today during a one-kilometer trek in support of his election and the re-election of president Muhammadu Buhari, Abdulrasaq said the case before the court is not chairmanship case but a caretaker case which the APC has gone beyond in the state. He frowned at the rate at which the opposition party is playing politics in the state. While speaking on Balogun Fulani chairmanship position, Abdulrasaq insisted that Balogun Fulani is not a member of the APC in line with the constitution of the party and with the power conferred on the National working committee of the party. In his address, the convener of Adewole revolution movement, Musbau Eshinrogunjo called on youths in the state to rise up to the challenges of taking the mantle of leadership. 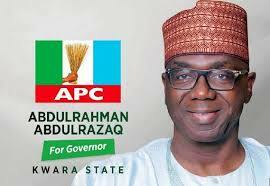 Musbau called on Kwara residents to prepare for change in 2019.